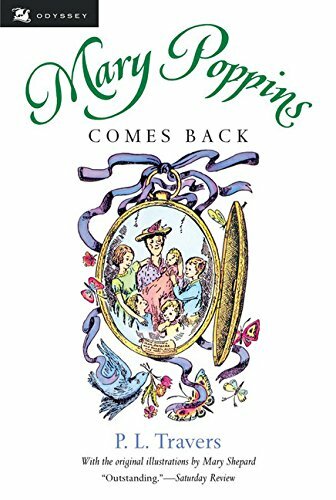 This entry was posted in Books and tagged children's classic fiction, Mary Poppins Comes Back, P.L. Travers by Katrina. Bookmark the permalink. I think I might have read some of the Mary Poppins books as a child, although I’m not completely sure – if I did, they mustn’t have made much of an impression on me. I did used to love the film, but I can understand why P. L. Travers would have been unhappy about it. There are definitely far better children’s books around. I loved the film too, but Mary Poppins is nothing like the one in the film. She’s quite nasty really. The new film, has Mary Poppins coming back just as you described. I have the omnibus edition of all her novels, but not read any in a while. The new film is excellent but I think it is the stage show which shows Mary Poppins as most like her characters in the books. Great, I didn’t know anyone who has seen the new film yet, I’m glad to know you loved it.